An outdoor cat house that I built using your plans. I’ve added a deck to the front. I also insulated the walls. 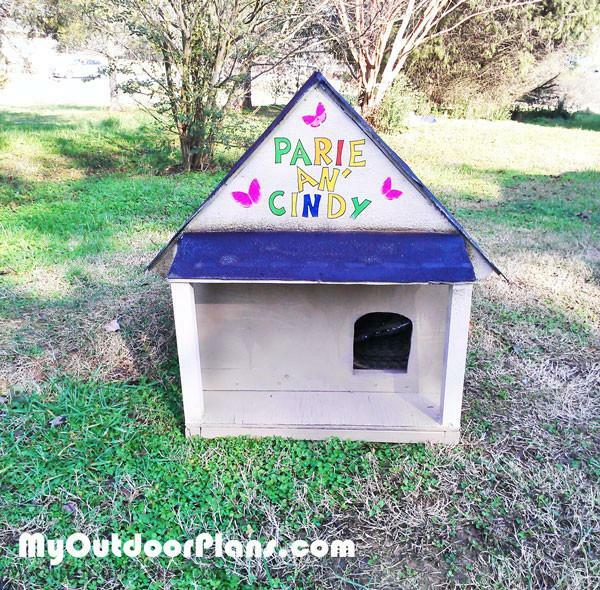 The outdoor cat house looks amazing and I’m sure it will inspire other diy-ers. I love the modifications you made to the plans. The front deck and the overhang look chic.